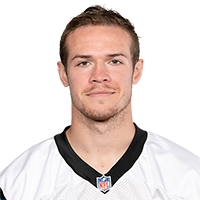 Heinicke (elbow) signed a one-year contract with the Panthers on Tuesday, Jourdan Rodrigue reports. Heinicke is a restricted free agent this offseason, which gives the Panthers the right of first refusal. Heinicke (elbow) posted on his Twitter account Thursday that he's undergone successful surgery. Analysis: It was initially reported that Heinicke would not require surgery to address his hyperextended elbow, but Joe Person of The Athletic relayed Thursday that the QB had a partially torn triceps his left arm repaired. Once fully healed, Heinicke is a candidate to re-enter the Panthers' backup signal-caller mix. Heinicke was diagnosed Thursday with a hyperextended left elbow and won't require surgery to address the matter, Joe Person of The Athletic reports. 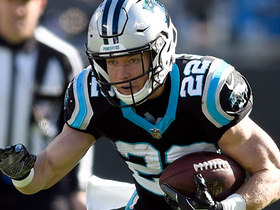 Analysis: Though the Panthers shut down Heinicke for the season after placing him on injured reserve Wednesday, the fourth-year signal-caller should be ready to go for OTAs with surgery off the table. 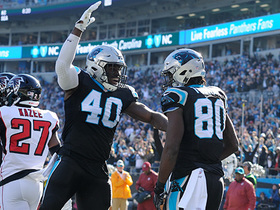 He'll likely step back into his familiar role as the top backup to Cam Newton (shoulder) in 2019, assuming Carolina elects to tender Heinicke a contract. With Newton also ruled out for the season finale Sunday in New Orleans, third-string quarterback Kyle Allen is in line for his first NFL start. The Panthers placed Heinicke on injured reserve Wednesday, Max Henson of the team's official site reports. 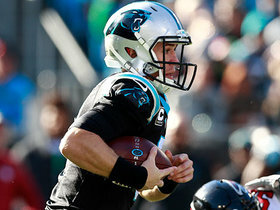 Coach Ron Rivera said Heinicke is slated to undergo an MRI on Monday to determine the extent of the left elbow injury the quarterback suffered in Sunday's 24-10 loss to the Falcons, David Newton of ESPN.com reports. Heinicke (elbow) completed 33 of 53 pass attempts for 274 yards, one touchdown and three interceptions Sunday against the Falcons. 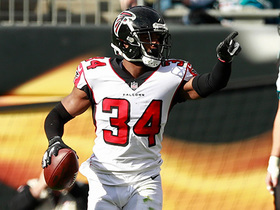 He also carried three times for 33 yards in the 24-10 loss. 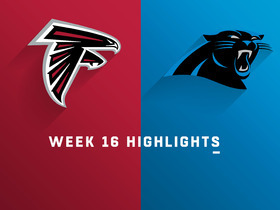 Heinicke (elbow) returned to Sunday's game versus the Falcons, Max Henson of the Panthers' official site reports. Analysis: After Heinicke's departure in the second quarter, the training staff spent a lot of time wrapping his left elbow. He proceeded to warm up and be cleared for a return. With Cam Newton (shoulder) out, Kyle Allen is the only other quarterback on the active roster. Heinicke is questionable to return to Sunday's game against the Falcons due to a left elbow injury, Jourdan Rodrigue of The Charlotte Observer reports. Analysis: The Panthers have more or less shut down Cam Newton (right shoulder) for the season, but the potential loss of Heinicke could cause the organization to reconsider its stance with the long-time signal-caller. If Heinicke is unable to return, Kyle Allen will direct the offense for the rest of the afternoon. 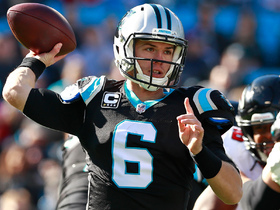 Heinicke is expected to start the Panthers' final two games of the season, Joe Person of The Athletic reports. Heinicke won the backup quarterback battle with Garrett Gilbert, Bill Voth of the Panthers' official site reports. Analysis: Helping Heinicke's cause was a relationship with offensive coordinator Norv Turner in Minnesota. Heinicke's preseason performance also was solid -- 24-for-36 passing for 323 yards, two touchdowns and one interception to go with one rushing TD -- and he'll be waiting in the wings in the event Cam Newton misses a game for the fourth time in his career. Heinicke is entrenched in a close competition with Garrett Gilbert for the Panthers' second-string quarterback position, the team's official site reports. Analysis: Heinicke entered Friday's second preseason game ahead of Gilbert, going on to complete five of nine attempts for 88 yards and an unfortunate interception. 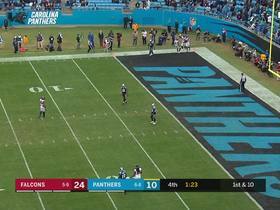 Following his turnover, Heinicke led Carolina on an eight-play, 92-yard touchdown drive before handing the keys over the Gilbert to start the fourth quarter. While neither player will be needed as long as star Cam Newton is healthy during the regular season, a No. 2 gig would still be an upgrade to both players' previous positions elsewhere. 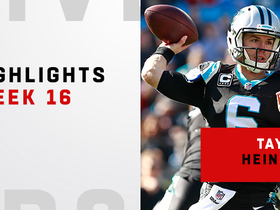 Watch the best plays from Carolina Panthers' quarterback Taylor Heinicke from his first career start in the NFL against the Atlanta Falcons. 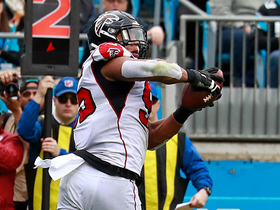 Carolina Panthers tight end Ian Thomas catches for a 27-yard gain against the Atlanta Falcons. 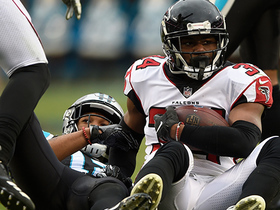 Carolina Panthers quarterback Taylor Heinicke takes off for a first down against the Atlanta Falcons.